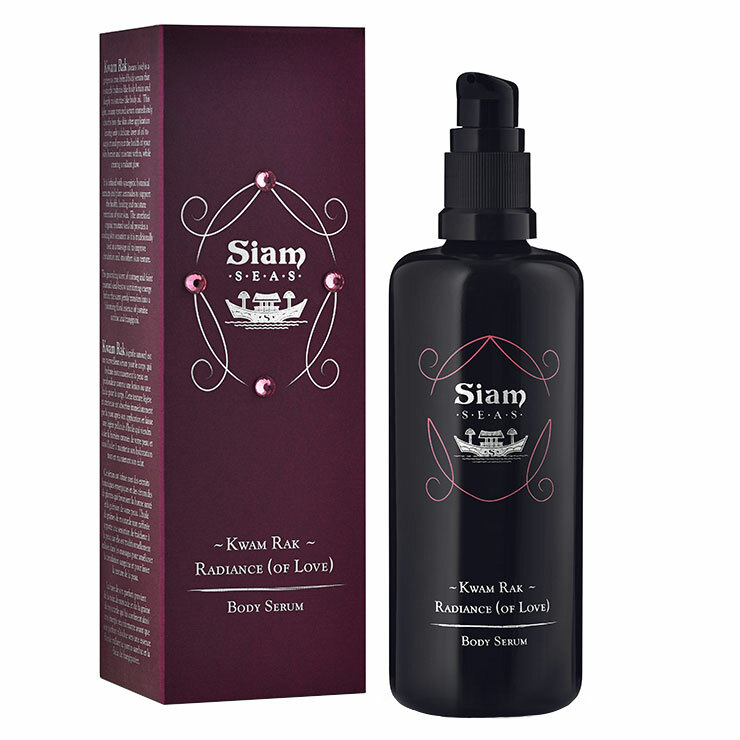 A true treat for the body, Siam Seas Kwam Rak Radiance of Love Body Serum offers the experience of luxe moisture from oils with a creamy, lotion-like feel. Made with ashwaganda, an adaptogenic herb that creates a feeling of protection and restoration from environmental stressors. Turmeric and gingko make skin look even-toned and calm, improving the look of discoloration and imperfections. Mustard seed lends a warming sensation, while pomegranate oil visibly diminishes acne, irritation, and skin aging. 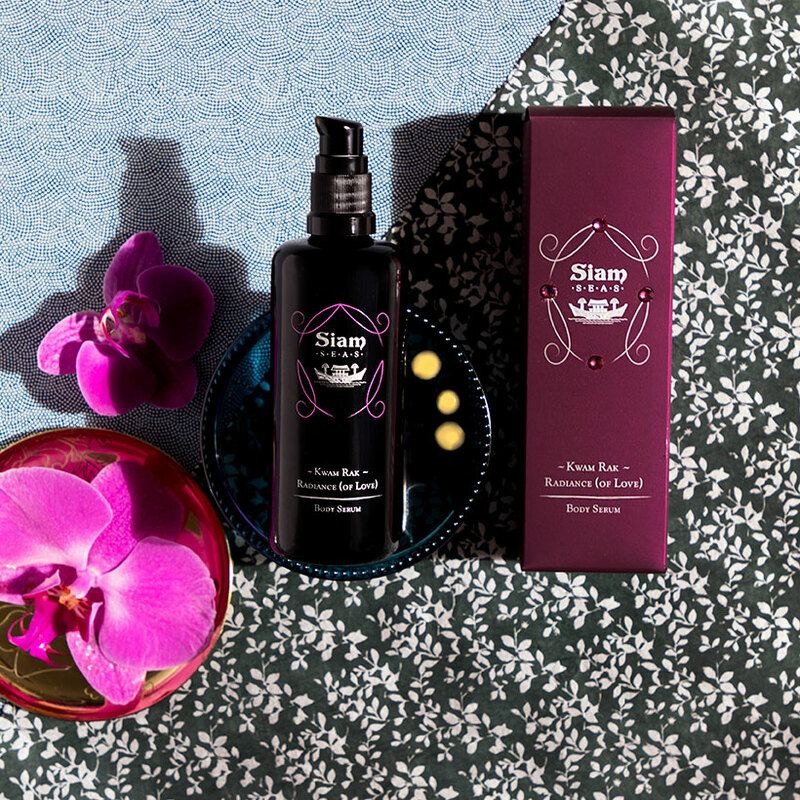 Green tea and pink lotus have a revitalizing effect on skin’s appearance. Never heavy or greasy, this body serum makes skin feel ultimately hydrated and balanced. Apply 5-8 pumps to clean, damp skin. 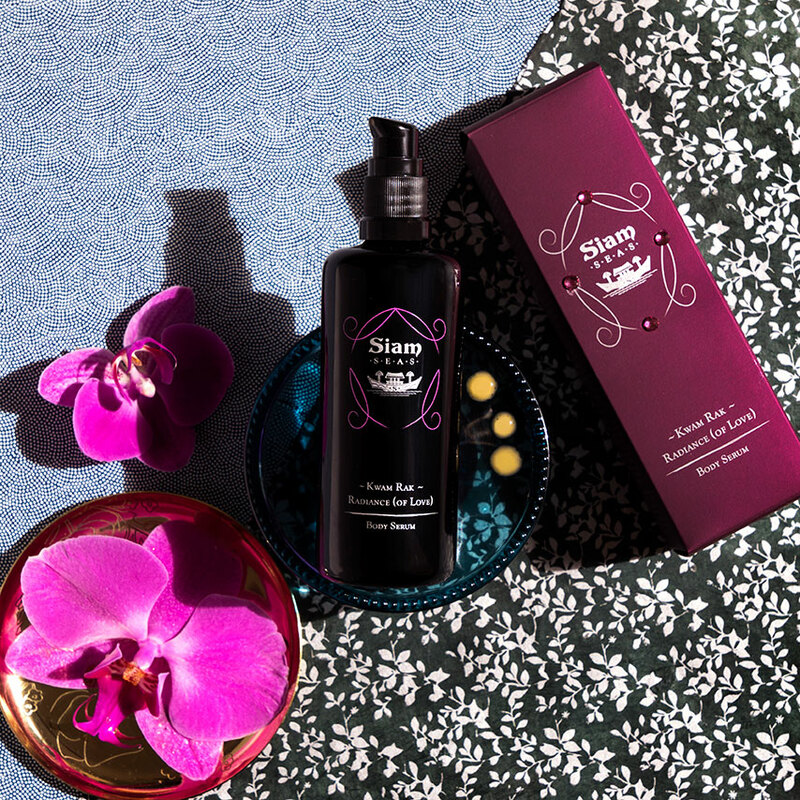 Massage onto the entire body, spending time on each area to create a glowing and revitalized look on skin while delighting in the exotic aroma. Adore this product. May be too pricey for daily use. Best when used on wet or damp skin.